Do you have questions about your baby’s sleep patterns? Do you need help with nap transitions? Are your toddlers night wakings or early mornings getting you down? Join us for a free Sleep Q & A on our Members Only Facebook Group Event on Monday February 11that 7:30. MBFOM member Julie Allard will help answer your questions through our live Facebook video. Make sure to RSVP to the Event in order to tune in! You can submit your anonymous sleep questions in advance through this web page – www.mbfom.ca/sleep-q&a. Julie will answer your questions during the FB Event Live video stream. Julie is a twin mom to 5 year old boys and a 16 month old girl. 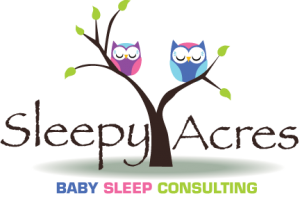 She owns Sleepy Acres Baby Sleep Consulting, and was certified through the Family Sleep Institute three years ago. She can help you solve your child’s sleep problems and get your family the restful sleep it deserves.